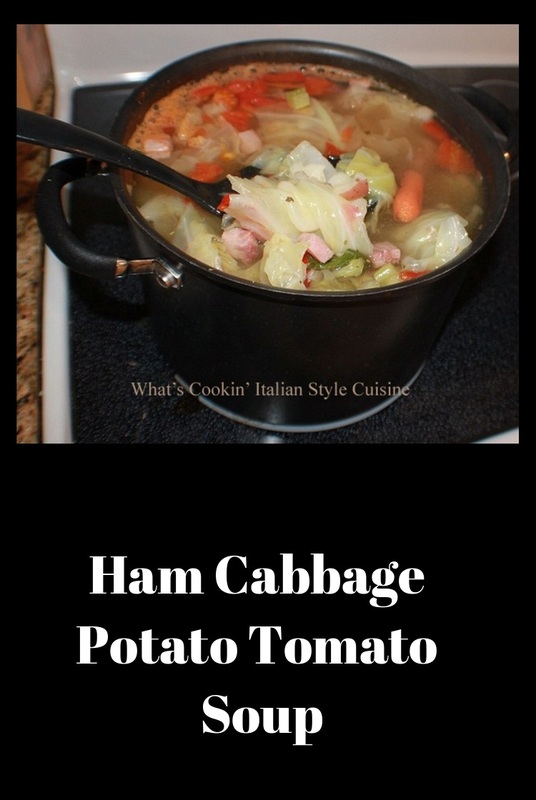 Ham Cabbage Potato Tomato Soup is a comfort soup all the way. 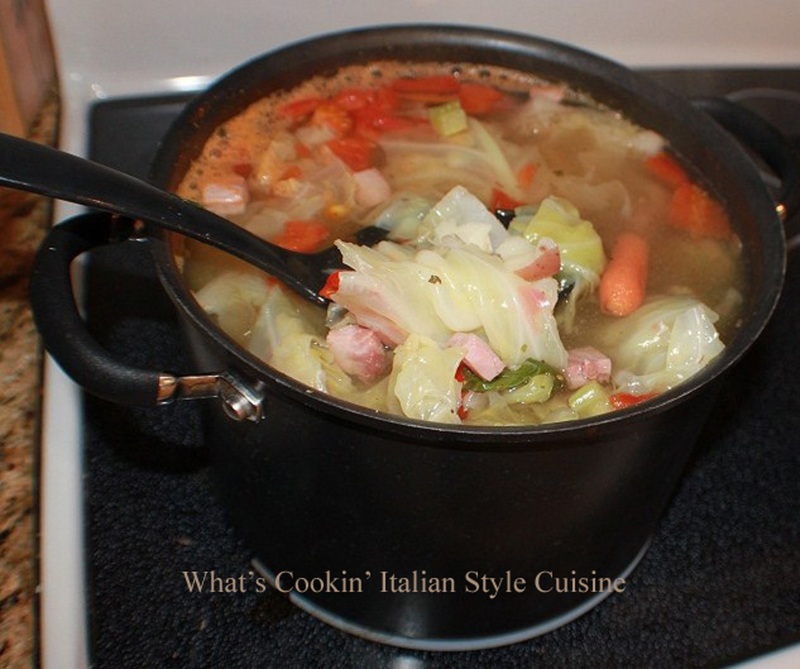 The whole family enjoys this soup especially during those cooler or rainy days. The cabbage is so tender is just melts in your mouth. It's such an easy soup to make and goes a long way to feed a large family. Fill a 5 quart large pot with water half the pan full (not using chicken broth add 3 more cups). Add the broth, cabbage, tomatoes, potatoes, ham, celery, carrots, fresh herbs, garlic and spices. After adding all the vegetables if there is more space add more water to fill leaving 3 inches below top of 5 quart pot. Simmer on low for around 1 1/2 hours. You can also do this in a crock pot on low 8 to 10 hours adjusting to the size, leave 3 inches from the top of the crock pot as above instructions.